About this objectTrish McKelvey, 1966. This is a portrait photograph taken in a studio. 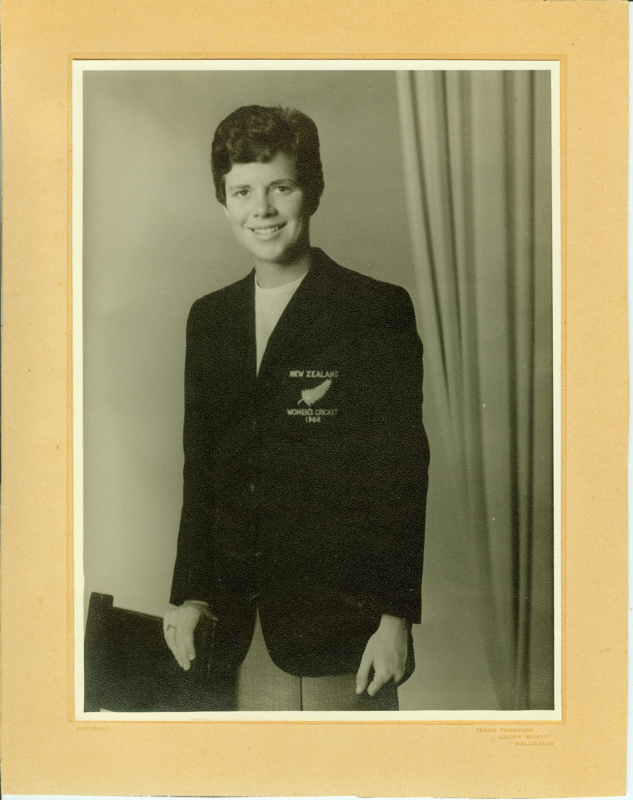 Trish is wearing a New Zealand Women's Cricket Blazer, with New Zealand Women's Cricket 1966 and a silver fern stitched on the blazer pocket.